The Primary Health Bus is a partnership with MD Ambulance and is staffed by a nurse practitioner and a paramedic. Since beginning as a pilot project in the summer of 2008 the Health Bus has been able to bring services directly to under-served populations, reach those who may not receive care, and provide an alternative for those seeking care for minor conditions at hospital emergency rooms. In 2012-13, 5,717 clients visited the Primary Health Bus. Fifty-seven per cent of those clients were adults between 20 and 60 years of age and 35 per cent were children and youth. The Lighthouse operates The Dubé Lighthouse facility, which houses supported living units for some of the most vulnerable citizens in the community, including the working poor, people with physical or intellectual disabilities, and people with addictions. The Lighthouse also operates emergency shelters for men and women, a Stabilization Unit for intoxicated individuals, and 58 affordable housing suites. 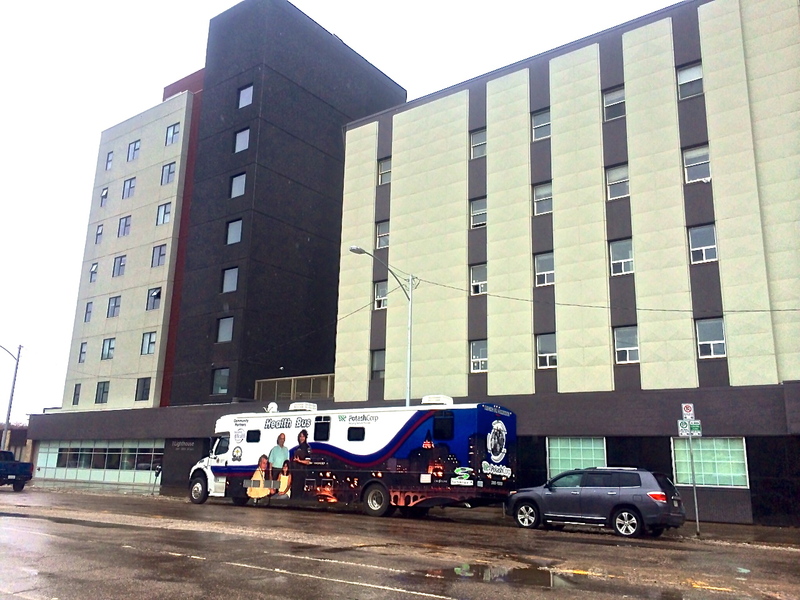 The City of Saskatoon has shown its support for this initiative by making parking stalls available for the Primary Health Bus to park at The Lighthouse on Mondays. 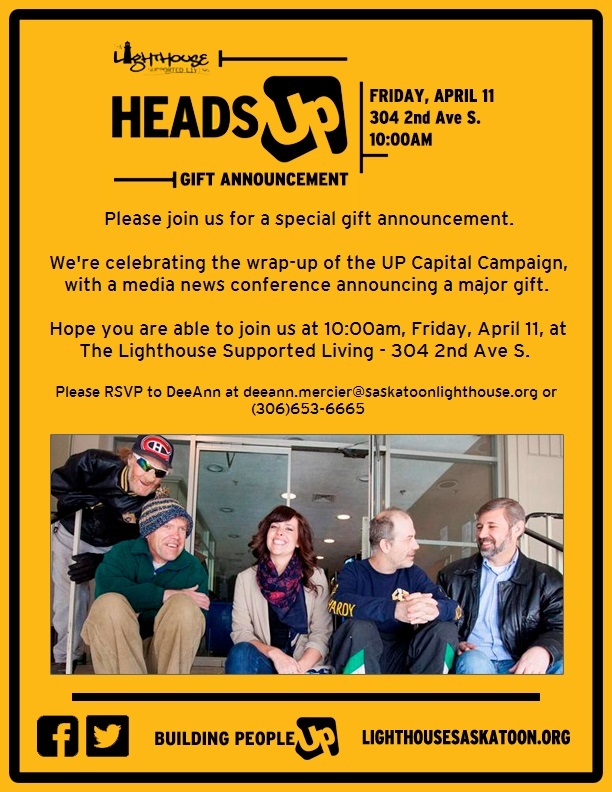 Saskatoon Health Region and The Lighthouse thank the City for making this location accessible. Saskatoon Health Region’s Primary Health Bus operates seven days a week from noon to 7:45 p.m. See the complete schedule on our website at https://www.saskatoonhealthregion.ca/locations_services/Services/Primary-Health/Pages/HealthBus.aspx. 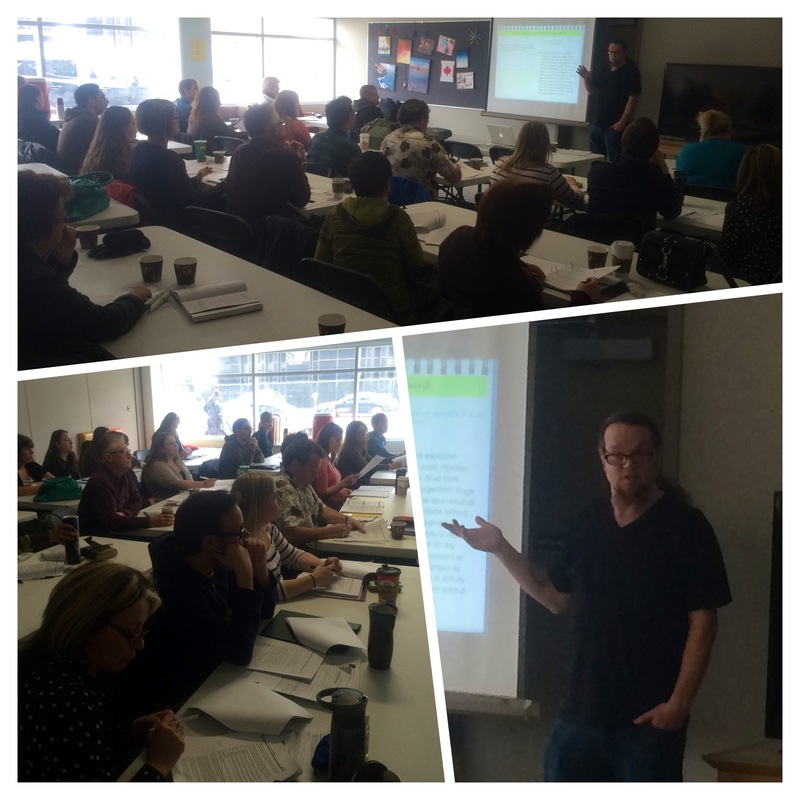 Today organizations who work with those experiencing homelessness are at the Lighthouse to learn from Ian De Jong from OrgCode about using SPDAT. SPDAT is a Service Prioritization Decision Assistance Tool. The goal is that through this assessment individuals will spend less time in emergency shelters, be provided more individualized care, and we will be able to collect better data. Better data will allow all of us to know where the greatest needs are in our community. Thank you to the United Way for bring this to Saskatoon so that organizations can have a common language to discuss the needs of those we serve.